The uno form story began in Arne Munch's basement in Lyngby. It was here that his ideas came to fruition and he produced his first uno form kitchen designs on graph paper. Arne Munch was not in the business of drawing advanced sketches or making complex models, as his kitchen concepts were as simple as they were ingenious. Arne Munch was the man behind the uno form kitchen. 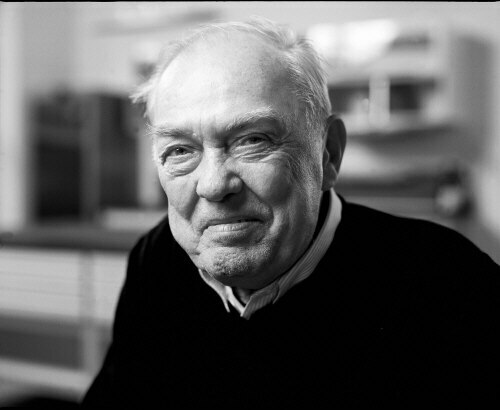 With his distinctive design, advertising and business talents, resourcefulness and the ability to provoke, Arne Munch revolutionised the Danish kitchen industry in the late 1960s. After only a few years in the business, Arne Munch was hopelessly disillusioned with the Danish kitchen sector. He was amazed and outraged that a country with such proud design and craftsmanship traditions as Denmark was unable to build kitchens that were both beautiful and functional. In provocative articles, he expressed his dissatisfaction with the kitchen furniture of the time. Most Danish homes of the 1960s were equipped with a built-in kitchen, which was installed when the house was built. The heavy compact element-based kitchens allowed no freedom or originality in kitchen design and the days of this inflexible building style were clearly numbered. The mid-1960s saw the introduction of kitchen units. However, Arne Munch still was not satisfied – design and function did not adequately supplement one another. 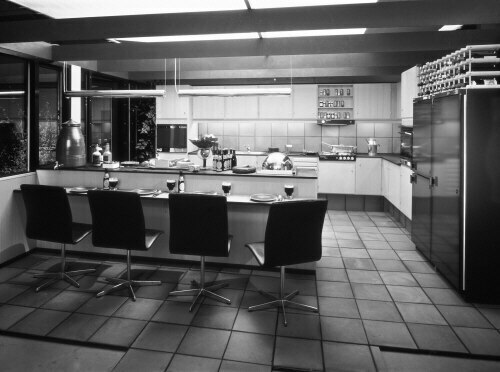 By 1968, Arne Munch had had enough – pencil in hand, he set about simplifying the concept of good kitchen design. At the same time, he created a design classic – all in his basement in Lyngby. He constructed a cube measuring 60 x 60 x 60 cm. The square module, which could be used freely and independently of requirements and space considerations, resulted in an aesthetically pleasing piece of furniture based on balanced dimensions. In constructing the uno form module, Arne Munch solved another important problem associated with kitchen production. Because of the module's square design, it was no longer necessary to make left and right doors – now units, frames and doors all had the same dimensions. This simplified production, logistics, distribution and assembly. In his home in Lyngby, Arne Munch also found the inspiration for the remaining uno form kitchen designs. Surrounded by beautiful, original design furniture, he found it quite natural to incorporate good, aesthetic furniture design into kitchen production. Thus an Italian sofa table in Arne Munch's living room gave him the idea for uno form's characteristic slated fronts, which in turn did away with kitchen handles – another revolutionary breakthrough. And, naturally, the kitchen name had to reflect its simplicity. The design was based on one form – in Latin, uno form.